Summary: "Who was it that said time heals all wounds?" It was Caroline's question asked from the window of Elena's office. Prompted by TO 5x13: Caroline's life through the years waiting for Klaus though not knowing if he's dead or alive— he simply kissed her then disappeared when she couldn't follow through with her goodbye. These days I've been jumping back a bit into my old fandom self... as in, I go find things I want instead of waiting for others to post it. It's time consuming but it's fun... and it really allows to me rediscover my love for KAT-TUN... Except for weibo the international fandom is as dead as a doorpost. People hardly share anything useful these days. Though, I mean, I do understand. Maybe. I was really looking forward to their Countdown Concert... I feel that would've really meant something big... like, 'YES, THEY'RE REALLY BACK AND RECLAIMING THINGS". Anniversary or not, I'm really annoyed that another group will get to do it instead. 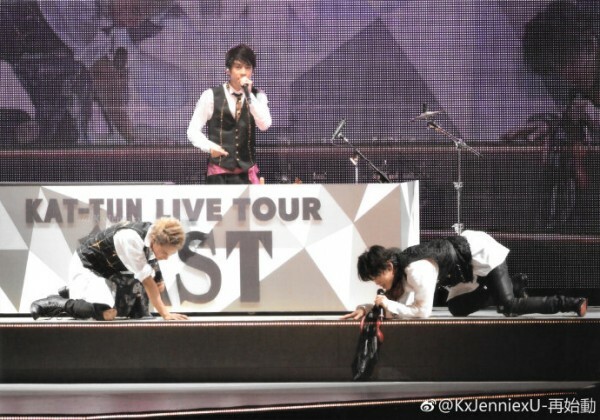 The fact that KAT-TUN came back after TWO years of working their asses off and have been working even harder since coming back, they deserved it... HYPHENS deserve some love. I feel like only Ten no Koe understands this. I swear, Tame Tabi is my only salvation when it comes to fandom life.